It's actually a drone carrying doughnuts. Lamar's Donuts and the Denver Salvation Army teamed up Wednesday, getting ready to celebrate National Doughnut Day on Friday by making some very special doughnut deliveries. They did that with a drone. First stop, the Denver Police Department. No kidding. 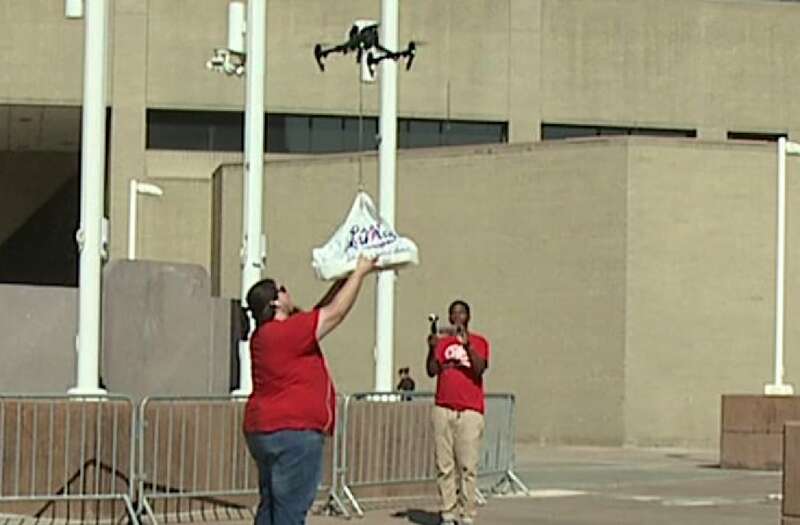 Lamar’s Donuts and the Denver Salvation Army teamed up Wednesday to make National Donut Day extra special this week, delivering donuts by drone. Second stop, the Denver Fire Department Station No. 1 on Colfax Avenue. After that, it was off to the 16th Street Mall, where the drone dropped boxes of Lamar's Donuts that were then handed out to anyone who wanted to eat one. National Doughnut Day started in 1938 as a fundraiser for Chicago's Salvation Army. We are still a few years away from actual drone-delivered doughnuts, but until then, keep looking up.